A few years ago, to explain what goes wrong for many organisations that “go agile”, I wrote an article called “Putting the Kart before the Horse” . At the open practice session my son and I attended, novice drivers seemed to approach their first lap as if it really were as easy as experienced drivers make it look. They floored the throttle and flew down the straight only to crash—painfully and expensively—into the barrier at the first hairpin turn. Organizations starting their transition to agile methods with Scrum are much like the novice drivers trying to go fullthrottle before learning how to take the corners. 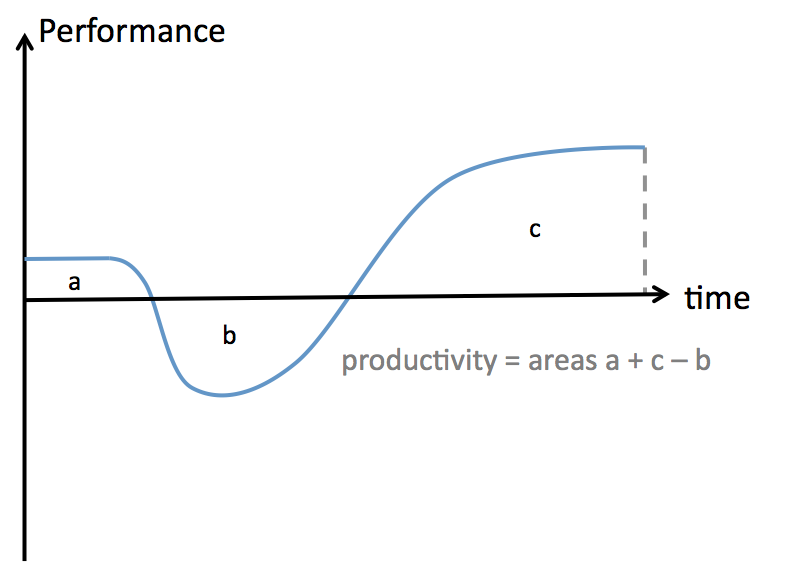 Before being able to truly bend and change their software with speed and ease, they fly into short iterations and frequent incremental product delivery—crashing painfully into the barrier of hard-to-change software. It was my son’s first experience in a go-kart. We started by driving slowly with him following me to learn the racing line. We gradually went faster and faster. Soon, we were the quickest drivers on the track. Since then, he has gone on to advance further and further in his racing. Back then, we were in slow, 35mph go karts. This year he started racing for a team in race-tuned karts (see photo). The driver-coach in the team watched him driving on his first few attempts in his new high-performance machine (70+ mph, super-car acceleration). While he was reasonably quick, he wasn’t smooth. His coach told him “slow down”. His coach said “whatever speed you can do while still driving on the ideal racing line is the speed you should be going”. My son went out again. Initially slower than he was before, his speed progressively built… we watched his lap-times improve dramatically. 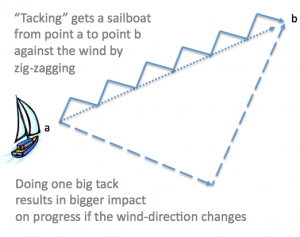 Yet again, we relearned this lesson: slow is smooth–smooth is fast. My answer: avoid going faster than you can. But if you feel compelled to go faster, make it a business decision. Help them understand that there is a risk that whatever time you save now will cost you more in the future. Help them understand all the effort you’ll spend repairing the damage that going too fast will cause. Pretty soon you’ll be spending so much time fixing problems and struggling to adapt hard-to-change code that there will be little capacity left to add new features. Essentially, incurring a “Technical Debt” . As a general rule, I always try to start something new, slow and steady. I only go as fast as I know I can while predictably and sustainably delivering. I’m mindful of business pressures but experience has shown me that by focusing on “making things right” we can deliver smoothly, build trust and progressively become faster. 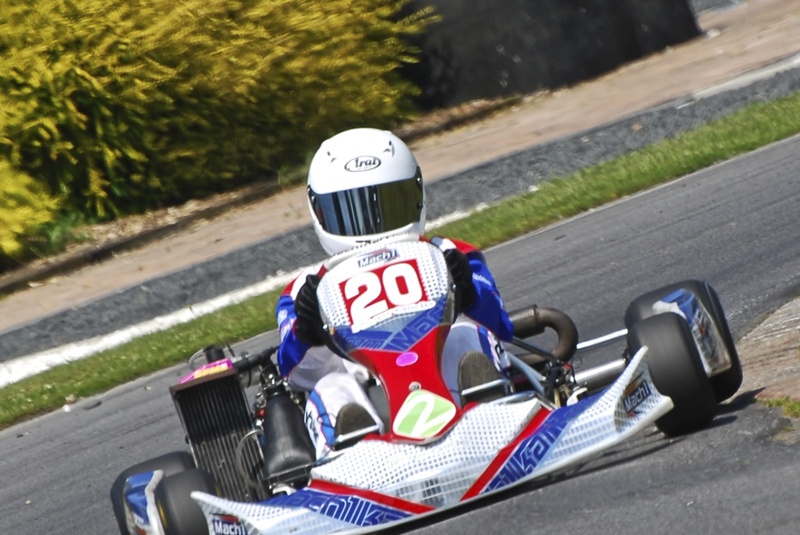 UPDATE [11-12-2013]: Damani Marcano finished his first ever season 3rd in the Hoddesdon Kart Club Championship Junior Rotax Formula at Rye House, the track that started Lewis Hamilton’s career. This achievement is significant since, as a novice license holder, Damani had to spend the first half of the season starting every heat from the back of the grid. Find out what happens next season by following his story on Twitter and/or Facebook. Who knows, by adding to his ‘likes’ / ‘followers’ you may become a part of his story by helping him become more attractive to a potential sponsor. Let’s say you own a restaurant. Quite a large restaurant. You’ve hired a manager to run the place for you because you are about to take the fruits of your success and invest in opening three more around the country. You leave the manager with a budget to make any improvements he sees fit. After being away for a few weeks, you return to your restaurant. It’s very busy thanks to the great reputation you had built for it. The kitchen has some new state of the art equipment and you can see that there are a lot of chefs and kitchen-staff preparing meals furiously. Obviously, with a restaurant this full you have to prepare a lot of meals. But then, you notice that there are only a few service staff taking orders and delivering the meals to the customers. Tables are waiting a long time for their meals. You notice the service staff spending a lot of their time taking meals back to the kitchen because they have gone cold waiting so long to be served. You also overhear several customers complaining that the meal they received was not the one they ordered, increasing the demand for the preparation of more meals. You call the manager over and ask him what’s going on… he says “because we need to invest more in the kitchen”. You wonder why. He tells you “because there are so many meals to prepare and we can’t keep up”. At this point, it’s quite obvious that the constraint is not through lack of investment in the kitchen. Instead the lack of investment is in taking the right orders and getting the meals to the customers. To solve this, I think most people would increase the investment in getting the order right and in how the meals get to the customer not by investing more into the kitchen. Obvious, right? Despite this, time and again, I see organisations happy to grow their investment in more programmers writing more code and fixing more bugs and all but ignore the end-to-end process of finding out what people want and taking these needs through to working capabilities available to the customer. Business analysis, user-experience, testing and operations all seem to suffer in under investment. If it takes you four weeks to write some code for several new features and then another four weeks for that to become capabilities available to your customer, hiring more programmers to write more code is not going to make things any better. So, how would you advise the restaurant? In the short term, you can get some of the chefs to serve customers while you hire more service staff. Another solution is to invest in infrastructure that brings the meals closer to the customer, such as in hibachi restaurants where the chef takes the order and cooks the meal at the table or in sushi restaurants where meals are automatically transported via conveyor belt. In software teams, we can bring the preparation of features closer to our customers. We can involve a cross-functional team in the conversation with the customer (such as the chef being at the customer’s table). We can also automate a large proportion of the manual effort of getting features from a programmer’s terminal into the hands of the customer (as in with the conveyor belt). And, there is so much we can automate. Integration, scripted test execution, deployment and release management can largely be automated. Since speeding up these tasks has the potential to increase the throughput of an entire development organisation, it seems appropriate to invest in these activities as we would in automating any other significant business activity – such as stock-control or invoice processing. Why not ask a good number of our programmers to take some time out from automating the rest of the business and automate more of our own part of the business? Taking this approach seems to be the exception rather than the rule. I see organisations having one or two dev-ops folks trying to create automated builds; and similar number of testers, with next to no programming experience, trying to automate a key part of the business – regression testing. And then asking them all to keep up with an army of developers churning out new code and testers churning out more scripted tests. Instead, let’s stop looking so closely at one part of the process and look more at the whole system of getting from concept to capability. Let’s invest in automating for ourselves as much as we automate for others – and let’s dedicate some of our best people to doing so. In short, it’s not just about the speed at which we cook up new features. It’s as much about the speed at which we can serve new, working capabilities to our customers. What do special forces teams have in common with agile teams? My thinking has moved on slightly since then. Recently, several people have expressed an interest in the article. Please note – The comparison with military and police armed forces is purely metaphorical and specific to the message I hope emerges about roles and titles. Instantly, we move to the next room. The MOE man is nearest to it, immediately becomes point-man. The man on rear cover follows taking up the MOE position, becoming the MOE man. Meanwhile, the original number two and I are exiting the room. I’m the first out and, seeing that the number two position on the next door is yet to be filled, I fall in behind the point man, becoming team lead. I am now responsible for calling the next breach and for throwing in the next flash-bang. The former number-two drops in behind me to provide rear cover. Each of us instantly switches roles, and with a deafening bang, the next door is breached without hesitation. This might sound like a scene from an action movie but, no, it was a close quarters battle (CQB) training session I attended with the rest of The Foundation:Special Operations Group—a top UK Airsoft team. Airsoft is a skirmishing sport similar to paintball but with more realistic looking equipment and no mess. In this training session, run by a private security contractor, we were practicing the latest CQB techniques taught to police and military armed forces. In CQB situations, armed forces don’t have time to shuffle around to get team members into the position that an individual’s job title might dictate. Lives are at stake (or points in Airsoft). 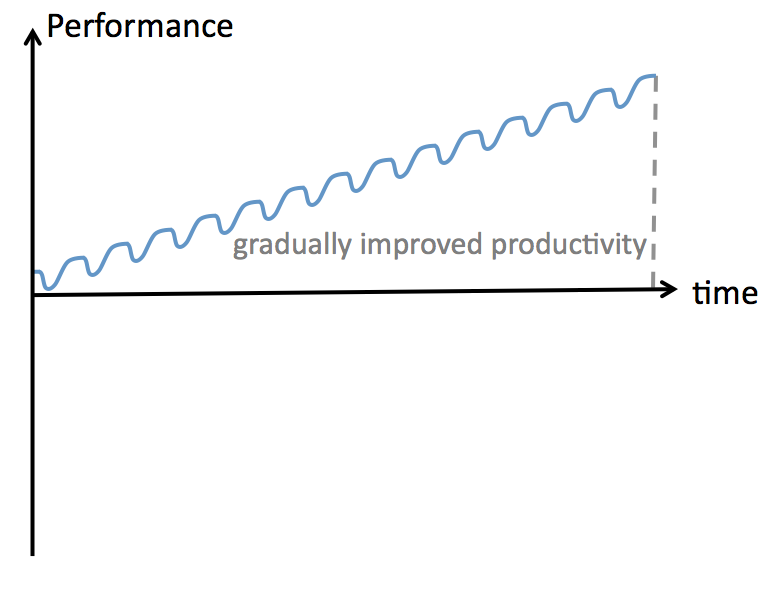 The team must be able to adapt instantly; there can be no waste in the process. 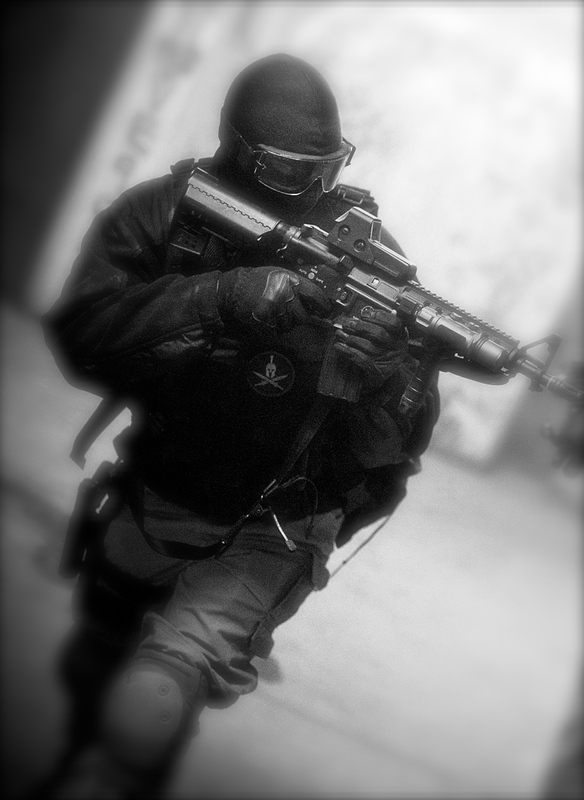 Historically, CQB dynamic entry (room clearing) was, and still is in places, taught with fixed roles. Instead of each person reading the situation and falling into the position that maximises the flow of the team from room to room, each person had a fixed role. Prior to practicing the dynamic role-switching, or ‘read system’ we also tried the fixed role position. This was noticeably slower. Instead of the team-members outside the room falling straight into the position on the next room, they had to wait for the number 1 & 2 (and sometimes number 3) to exit the first room and get into position covering the next door. Only then could the MOE specialist move to the door allowing the last team-member to move up to continue their role providing rear cover. The extra time it takes waiting for each specialist to be in position can take 10-30 seconds longer per-room. This time adds up to several minutes of wasted time when you have a whole series of rooms to clear. This fixed-role system not only puts the same person at the greatest risk as point-man on each room, as was highlighted by a British Army CQB instructor I trained with last year, but reduces your flexibility or can even halt the operation—especially when one of your team-members is injured (or worse). If everyone is a specialist, you need more people in those specialist roles to deal with the risk that one of them could be taken out at any time. We don’t have quite this concern in software teams, however, people do fall ill or need time off work for personal reasons. Indeed, there are experts within a dynamic team. For example, our MOE expert might tackle the especially tricky entries or advise the team on entry tactics before the game, but we all are capable to some degree in MOE. Each of us is capable of dynamically switching roles, quickly adapting to changing circumstances. This is a perfect example of a truly cross-functional team of generalising specialists . This dynamic role switching is almost the opposite of your typical software organisation where each person has a job title that fixes his role—business analyst, programmer, tester. These job titles make complete sense in phased-development approaches (e.g. waterfall) where the work is divided up as if it were a production line: Business analysts pass the outcome of business analysis to developers who pass the result of development on to testers and so on. These job titles make less sense when using agile approaches that integrate these activities so tightly that they are all but inseparable. More significantly, however, the balance of skills needed during each iteration (or time-box) and even for each user-story fluctuates depending on the nature of the features being implemented. One change may involve more refactoring (changing internal and not external behaviour) and be largely protected by pre-existing automated tests. Another change may involve limited coding and much more exploratory testing. There are endless variations on how the emphasis on each skill-area will change as the work flows through our value-stream. Like the Airsoft (or Special Forces) team going from one room to the next, software teams must seamlessly go from one story (or feature or business-value-increment) to the next. It’s simply too wasteful for progress to be halted while we wait for a fixed-role specialist to finish his previous task. Everyone on the team must constantly adapt so that we continue to maintain a constant and efficient flow of value… Fulfilling our shared responsibility of frequently delivering working software. An increasing number of organisations seem to recognize this, creating a demand for multi-skilled people. Interestingly, however, history seems to be repeating itself! Today the title of developer-tester (or tester-developer) is emerging in response to the flexibility demanded by agile teams—kind of an analyst-programmer-tester. As the uptake of agile methods grows, this demand is only going to rise! If history indeed repeats itself, the developer-tester may, too, become the norm—negating the need for the “tester” suffix that differentiates them. Yes, the “software tester” job title, one of the few remaining titles derived from phased-development methods of old, could suffer the same fate as Ye Olde Systems Analyst. This wouldn’t mean that software testing as a discipline will disappear altogether—just that many of the testers and developers of today will need to leave their comfort zones to become the developers of tomorrow. I notice that many people will only put their hand up when one of these is called. You may notice me put my hand up for each of these roles. I think of these labels more like tags than titles. I feel I can tag myself with all of these roles and switch between them (to varying degrees of competency) as the situation demands. Maybe they’re not so much like tags as badges. In some forces and certainly in the cadets and even among scouts and brownies, as you demonstrate new skills, you are entitled to wear new badges. The difficulty with fixed-role thinking is that for many, their very identity is attached to their job titles. The challenge becomes showing people why they would want to broaden their thinking. I’m not sure I have time to address that in this particular post. I can tell you what’s in it for me, personally. The tasks most relevant to my job-title may not be relevant to the team’s current story or goals. By dynamically switching roles, I am able to do the task that is the most relevant and valuable to the team at that time, within the context of the project’s goals, rather than just the tasks of most relevance to my job title. I am then able to accelerate the speed at which the team can clear each story, as the CQB team clears each room. I recognise that this isn’t always immediately practical. Some teams are very protective over access to source code… but this is a matter of trust. There are many ways you can earn this trust… It may be that you need to demonstrate your abilities to manage your own git, mercurial or subversion repository before you’ll be given access to the relevant project repositories. It may be that you can demonstrate that you are able to build an open-source code-base using similar technology on your own. You may simply need to be able to talk about the right things while asking another team-member with a different area of expertise for help – demonstrating that you’ve at least understood the basics. So, one of the things outside your job-title that may add value to the team might be learning how to do something that the team will soon need doing. So, hold on to your job titles and stick to your job descriptions if you choose. Personally, I’ve chosen to develop my individuality, embrace new skills and acquire new ‘tags’ & badges—bringing to the team more value, flexibility, throughput and opportunity. To find out more about Airsoft or to take your colleagues on a similar journey to this article, check out http://firefight.co.uk. Tell them that this article sent you their way… they know who I am and have already taken one of my client’s teams on a similar journey. I, of course, disagreed. The reasons people want money is that organizations have broken the implicit social contract to be fair with their employees […] That means there is strictly a financial contract between the employee and the organization. There is, however, even more to this topic that I’d like to share. There is a business incentive to paying more per employee that gets hidden by typical “per-unit” cost-budgetting. Chapter 2 of Dan Pink’s book “Drive” references research (funded by the United States Federal Reserve Bank) that showed that monetary incentives for cognitive tasks will actually have the opposite of the desired effect – perhaps because cognitive capacity is wasted on thinking about what happens if the criteria for the financial incentive are met/not met. 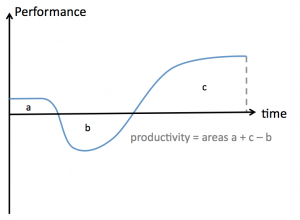 So, financial incentives actually result in poorer performance for cognitive tasks. Instead, Dan recommends paying enough that money just isn’t something that the employee ever thinks about. 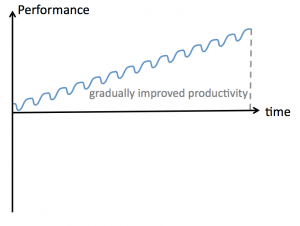 This frees up cognitive capacity to focus on the work at hand – thus increasing performance. As a result, the total output of fewer employees who are paid more can be greater than having more employees who are paid less. This assumes that all the people in these two situations are of comparable levels of talent. Add to this the fact that a company that does this will not only attract and retain the best talent, the performance gains through increasing the organisation’s “talent-density” can be even greater! Even if your total salaries budget was the same in both cases and you just had fewer employees, each paid more but delivering the same as the scenario with the larger number of employees – there are still savings to be made on accommodation costs, management overheads etc. Many of Johanna’s suggestions mostly fall into the “Mastery” category – conferences, book-allowance, etc. Some of her suggestions imply autonomy – such as more flexibility in working hours and holiday/vacation. Since Netflix wasn’t tracking how many hours people were logging each work day, these employees wondered, why should it track how many holidays people were taking each work year? Netflix no longer tracks holiday time taken by their employees. Despite this, Netflix offices aren’t deserted with everyone on a permanent holiday and its people have made Netflix so successful that they (arguably) played a role in driving a much larger, more well established provider of blockbuster movie rentals to bankruptcy. Dan delivers some compelling arguments that motivation and getting the best performance from people comes from giving people autonomy, the opportunity to master what they do and a clear purpose (beyond just making a profit for their employer). We can take Dan’s “Three Elements” to inspire ideas about what incentives will motivate our people. Or, we can take these ideas completely to heart. Rather than telling our employees that they have a book allowance and a conference/workshop budget and so on, we could simply give individuals (or teams) a “Mastery” budget and give them autonomy in how they spend it. Or, we could just pay it directly to the employees (like many companies do with a car allowance) and trust that they’ll spend it wisely. Realistically, there may be taxation benefits to not giving the money directly to the employees. It may also offer more flexibility, say if a team, wanted to combine some of their budget for coaching or bringing a trainer in-house rather than individually going on the same public course. The biggest fear some will have is that employees will abuse this freedom. If this happens, we can consider the misspent cash as an investment in discovering the people in our company who we might not want in our company anymore. Some may argue that this is too much of a risk, but you know what they say… the greater the risk, the greater the rewards.